This review is for A.J. Flower’s December Blog Tour (which is my first blog tour)! You can check out the author’s website here and take a look at the other tour posts. Azrael is one of the Windborn – a wingless angel. She is a moral hybrid, able to see both good and bad, unlike most of her kind. When she makes a deal with a demon to change her future, the last thing she expects is to become Queen. Fallen to Grace, the first instalment of the Celestial Downfall Trilogy, tells the tale of Azrael’s fight to survive her new royal magic, resist the call of the demon within her, and avoid losing everything to the darkness. Fallen to Grace is a good story. A.J. Flowers gives a version of angels and demons that I haven’t seen before, with interesting characters like the Hallowed who is both creepy and kind of likeable. There is a slight romantic aspect, (although this was brought in quite suddenly with little build up) but the story focusses mainly on Azrael’s relationships with the Queen and her best friend, Meretta, and Azrael’s struggle to survive through the Acceptance of the Divine Material she must receive to become queen. I liked the overall story and feel of the book, but Azrael really bugged me. She blames herself for literally everything and thinks that she is responsible for saving everyone when she’s really not. She’s just there to undergo the Acceptance and learn about becoming queen. Sure, when she is queen she’ll be more responsible, but until then protecting everyone is just not her problem. So yeah, I found that pretty annoying which made it hard to connect with her. Other than that though, the book was good. I liked the original take on angels and the other characters. I’m interested to see how the series will develop. Release date: 2nd December, 2016. I have to ask…would you recommend? The cover is stunning! 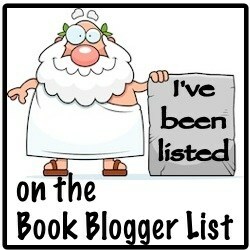 Well then I’m going to add to my TBR! Thank you! !